The device will be available next week. 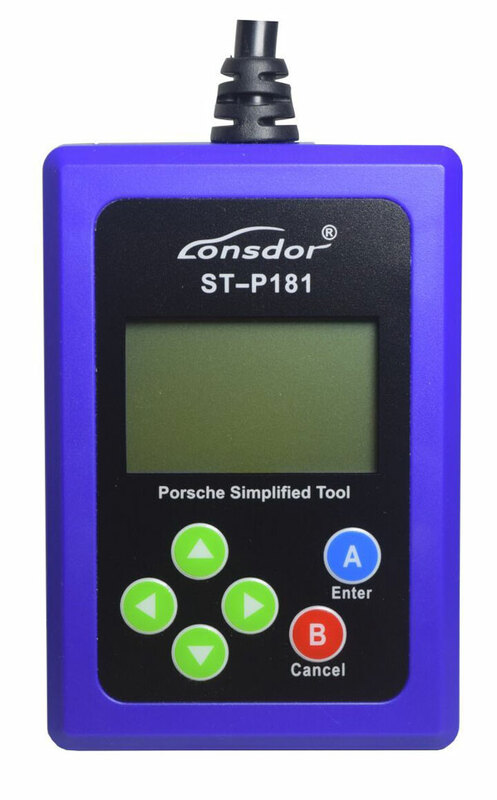 ST-181 is a simple tool by Lonsdor and it is customized for Porsche owners. Its lightweight, portability and easy to handle makes it an essential tool for Porsche owners. if off/on after a car stalls, the next time you start the car then the memory will start in the closed/open state. remenber the start of the latest start-stop function. In addtion, restore facorty setting is also available. It can apply to clearing the car fault code. For example, if the engine fault light is on, you don’t have to go to repair shop to clear it. After the purchase please connect the tool to vehicle OBD and read vehicle VIN code. Once confirmed, it can only be used in this car. After reparation, the vehicle will be restored to the facroty settings. Morever, ST-P181 can be used to open/close the function of memorizing the car start-stop state unlimitedly. 5.Avoid the road trouble caused by a slow start of the car after parking. 6.Avoid water flowing into engine while restaring car on a rainy day. 7. Have a better driving experience. This entry was posted in Programmateur de clés and tagged lonsdor st-p181, st-p181 key programmer on March 13, 2018 by sales.